DaVita Medical Group is committed to providing a positive imaging experience for patients, with excellent customer service and a quick turnaround of Radiology reports for referring physicians. Radiology services are available 7 days a week (days and hours vary by location). We use the latest in imaging technology and offer a wide range of Radiology services at two convenient locations. 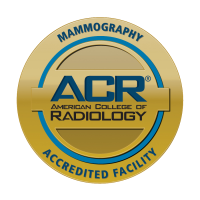 The Mammography department at Journal Center has passed accreditation in mammography as the result of a recent review by the American College of Radiology (ACR). We offer 2D and 3D mammography services.